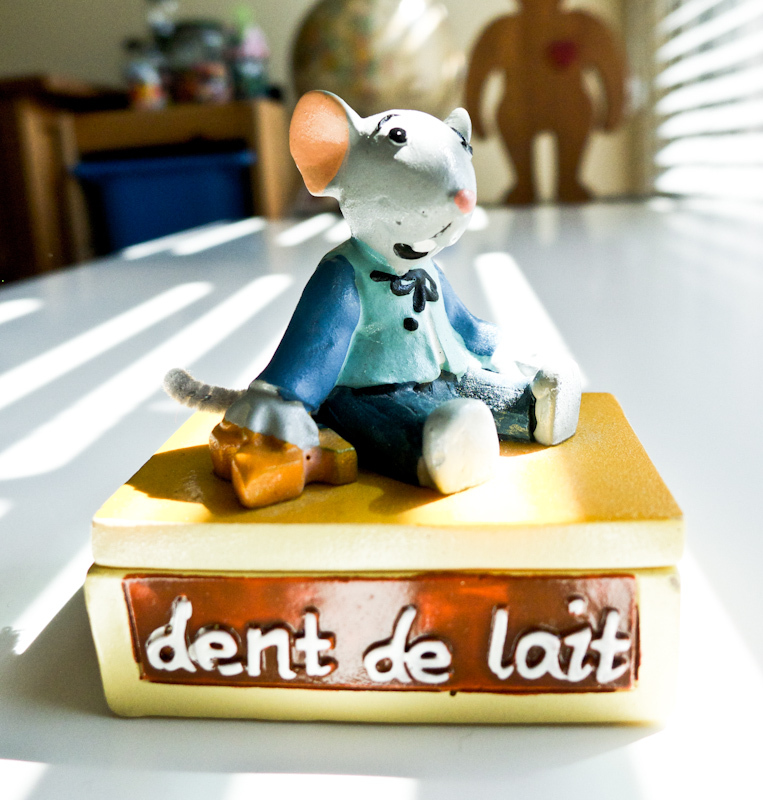 Over the past year, a little mouse has come by several times to take away my son's fallen dents de lait or baby teeth and each time has kindly left a little gift underneath his pillow. 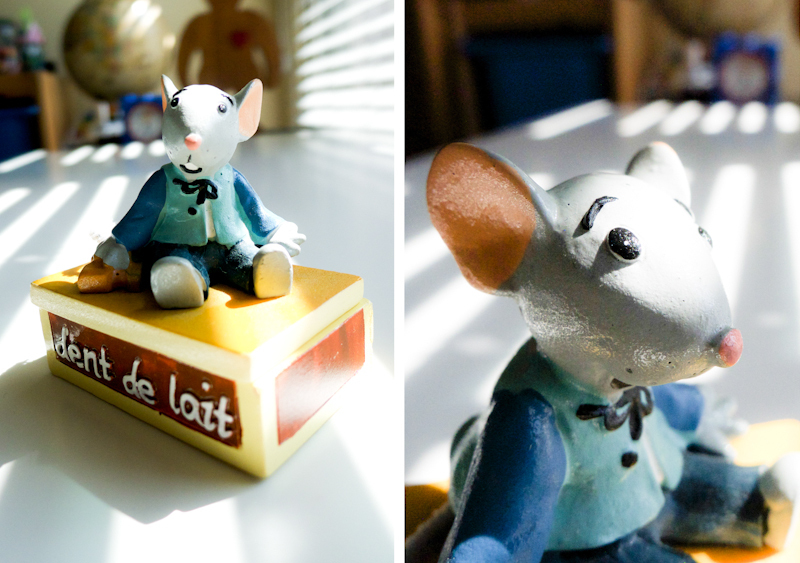 As the French version of the Tooth Fairy, he's officially called La Petite Souris or The Little Mouse. He's been very busy in our home, so far he's made six visits! In the Philippines, the tradition is to throw a fallen tooth over the roof so a little mouse can retrieve it, and that way it's believed the child's permanent tooth will grow in like a mouse's tooth - strong and sharp. There are varying traditions like this all over the world, all interesting and charming in their own way... I'd love to know what yours is. Aw, how sweet. I've never heard of The Little Mouse before! Charmaine, growing up in the States, my family practiced lots of Filipino traditions, but when it came to losing baby teeth, my parents were all about the Tooth Fairy (albeit one who no doubt ate lots of mangos and rice ;) But I just HAD to share the very interesting (older?) tradition about the roof and the mouse ... btw, I LOVE how you sprinkle glitter on your boys' pillows, adorable! Awww, how cute! I have never heard of the little mouse before! Such a charming way to collect baby teeth! I also love the Filipino tradition you mention - I must make sure to ask my mum about that (we have Filipino heritage through her side of the family :)...though growing up, we did the usual thing in the States of leaving a tooth under the pillow! Love that! Each country's traditions are so wonderfully charming, thank you for sharing Daydreamer ... so now that you're in France, I'm curious which tradition you follow - la Formichina or La Petite Souris?